Online retailer GameStop has announced it is to exclusively sell the 320GB Classic White Sony PlayStation 3 console in the UK with the lighter hued Xbox rival available to buy now. Having gone on sale earlier today the classic white PS3 features the usual array of high-end innards with a 320GB hard disk drive landing alongside an inbuilt Blu-ray player with 3D playback capabilities, built-in Wi-Fi connectivity and HDMI output for optimised 1080p gaming. 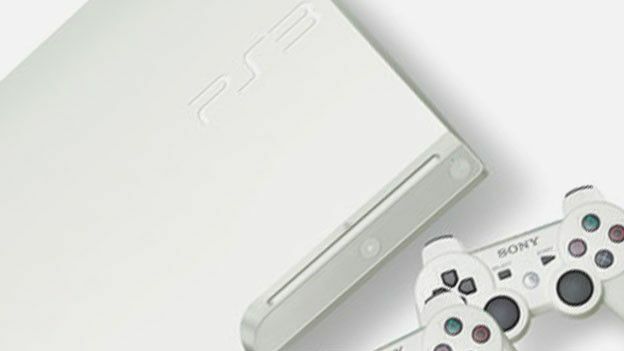 “Customers worldwide have been clamouring for PS3 colour options besides black, and we are very excited to have partnered with Sony Computer Entertainment Europe (SCEE), to bring the Classic White PS3 to the UK and Ireland for the first time,” said Michael Finucane, Commercial Director of GameStop. Bundled with a pair of white dual-shock controllers, a PlayStation Network membership, a £25 PSN Card and a single PS3 game, gaming fans looking to snap up a classic white Sony console ahead of the Christmas period will have to part with £299.99. Are you tempted to replace your aging console with a new pristine white model? Let us know via the comments box below.